New UC Merced Dean of Natural Sciences was listed as top 100 Latino influential people in the U.S.
MERCED — The University of California, Merced, today announced the appointment of Juan C. Meza as the new dean of its School of Natural Sciences. He will join UC Merced in the fall. Meza will take over for Mike Colvin, who has served as interim dean since February. Colvin replaced founding Dean Maria Pallavicini, who resigned to become provost at the University of the Pacific. "Founding Dean Maria Pallavicini was an extraordinary contributor to UC Merced's early success, and Juan Meza is an outstanding choice to continue building the School of Natural Sciences," said Keith Alley, executive vice chancellor and provost. Meza studied at Rice University — earning bachelor's and master's degrees in electrical engineering and a Ph.D. in computational and applied mathematics — and currently works at Lawrence Berkeley National Laboratory (LBNL) as head of the High Performance Computing Research Department and acting director of the Computational Research Division, where he manages a staff of 272 employees and a $50 million budget. At LBNL, Meza helped grow research funding levels and established collaborations with the lab's earth sciences, environmental energy technologies, physics and genomics divisions. Juan C. Meza was named the new dean of UC Merced's School of Natural Sciences. "Dr. Meza is an accomplished researcher and a distinguished leader with an exemplary track record," Alley said. "He has demonstrated throughout his career the interdisciplinary, collaborative spirit that UC Merced has built into its DNA, and he is a shining example of the very diversity our campus is so proud of." 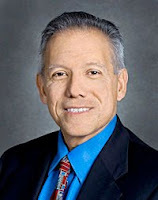 Meza, named one of Hispanic Business magazine's "Top 100 Influentials of 2009" and one of the "Top 200 Most Influential Hispanics in Technology" by Hispanic Engineer and Information Technology magazine in April, is the son of Mexican immigrants and a first-generation college student. Meza's own research interests include applied mathematics and computer science with an eye toward computational research, including nonlinear optimization and parallel computing methods. He has also done work on a variety of other scientific applications, such as scalable methods for nanoscience, power grid reliability, molecular conformation problems, optimal design of chemical vapor deposition furnaces, and semiconductor device modeling. He was drawn to UC Merced by the interdisciplinary spirit of its research — something that has been a hallmark of his own research career — and its inherent diversity. "As I was considering this position, I was truly impressed by the quality of the faculty, the commitment and diversity of UC Merced's students and the great potential to help shape the development of the newest campus in one of the world's best public university systems," Meza said. "I'm looking forward to tapping into this potential to help develop each student as an individual and the institution as a whole." Meza's compensation package will include an annual salary of $245,000. In keeping with UC system policy, he will also receive: standard health, pension and senior management benefits and standard sabbatical, sick and vacation accrual; a relocation allowance of up to $10,000 to assist with relocating to Merced; reimbursement of 100 percent of actual and reasonable moving expenses, including one house-hunting trip; eligibility for a Mortgage Origination Program loan in order to purchase a principal residence.